01/01/2017: Returned to Berkeley EECS. 11/20/2016: Program Chair for IoT Day at ESWEEK 2017. Preliminary CFP online! 11/05/2016: Program Co-chair for BuildSys 2017. Submit your great ideas! 06/08/2016: Program Co-chair for IPSN 2017. Submit your great ideas! 05/25/2016: Brad Campbell to join the University of Virginia CS faculty. 05/24/2016: Aaron Schulman to join the UCSD CSE faculty. 04/12/2016: GridWatch named a Finalist in Vodafone Wireless Innovation Project. 03/29/2016: Joshua Adkins and Genevieve Flaspohler win NSF Graduate Fellowships. 03/11/2016: Genevieve Flaspohler wins Distinguished Academic Achievement Award. 03/11/2016: Genevieve Flaspohler wins William L. Everitt Student Award of Excellence. 03/11/2016: Neal Jackson wins Outstanding Research Award. 02/01/2016: Brad Campbell and Pat Pannuto invited to MSR Student Summit. 01/12/2016: MBus paper selected to IEEE Micro Top Picks for 2016. 09/15/2015: Popular Science covers RoboCafé demo at DARPA Wait, What?. 09/11/2015: PolyPoint wins Potential for Test of Time 2025 Award at HotWireless'15. 09/09/2015: Welcome to EECS 373. 08/18/2015: Our NSF/Intel proposal on IoT Security was awarded. 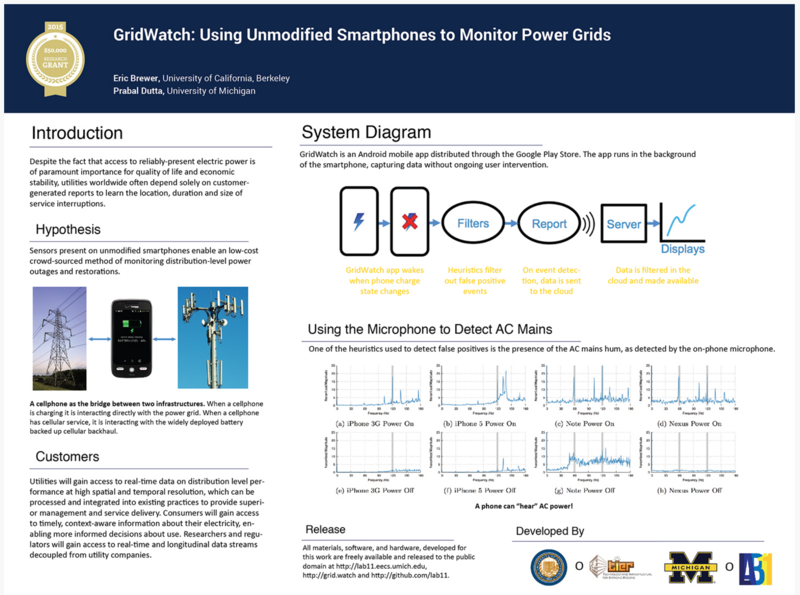 08/03/2015: GridWatch Project wins inaugural Siebel Energy Institute Grant. 07/30/2015: PowerBlade wins TI Innovation Challenge Best Environmental Impact Award. 06/30/2015: The Secure Internet of Things project got slashdotted. 05/21/2015: Promoted to Associate Professor with tenure, effective September 1, 2015. 04/17/2015: PolyPoint places 3rd in class at the Microsoft Indoor Localization Competition. 04/15/2015: An article in Medium on our efforts to realize smart dust. Got slashdotted. 03/16/2015: The M3 project now on display at the Computer History Museum in Silicon Valley. 03/13/2015: Genevieve Flaspohler wins Marian Parker Prize, Outstanding Achievement Award. 03/13/2015: Joshua Adkins wins Outstanding Research Award. 02/25/2015: Appointed a Morris Wellman Faculty Development Professorship. 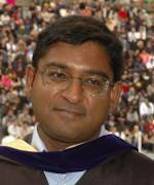 02/23/1015: Awarded the Alfred P. Sloan Research Fellowship. 02/13/2015: Publicity Co-Chair for ACM SenSys'15. Check out the CFP and submit your great ideas! 02/12/2015: Program Chair for HotMobile 2016. 01/08/2015: Welcome to EECS 373. 01/07/2015: Welcome to EECS 582. 12/15/2014: Faculty spotlight in The University Record. 12/01/2014: Co-organizing the NSF/CCC Extensible Distributed Systems Workshop. 11/19/2014: Speaking at the India - U.S. Technology Summit in New Delhi. 10/07/2014: A conversation on Michigan Radio's Stateside with Cynthia Canty. 09/21/2014: Giving the keynote at ENSsys'14. 09/17/2014: Named to Popular Science Magazine's The Brilliant Ten of 2014. 09/11/2014: A project summary page for NSF CNS-1350967 is now up. 09/03/2014: Welcome to EECS 373. 09/01/2014: A project summary page for NSF CNS-0964120 is now up. 08/11/2014: Kickoff for the Secure Internet of Things Project with Berkeley and Stanford. 06/30/2014: World Economic Forum's Forum Academy Sensor Networks module to go live. 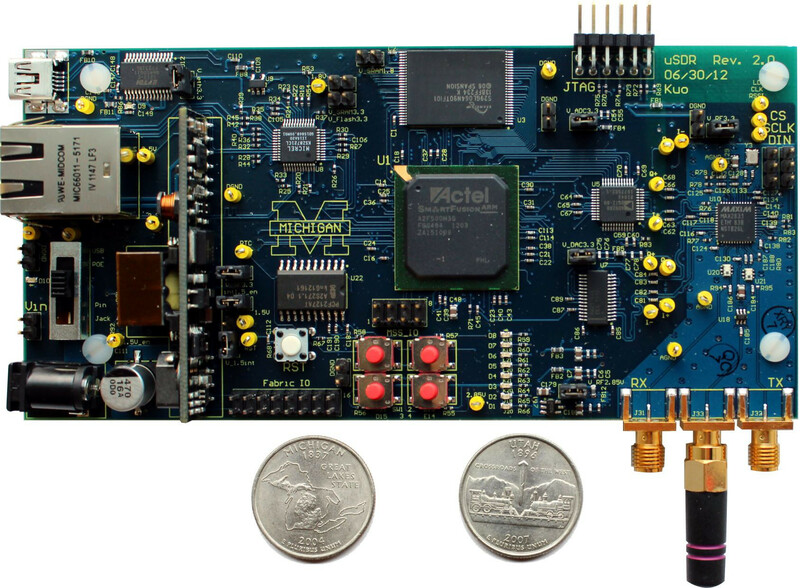 05/27/2014: NXP announces HiJack-inspired Quick-Jack. Available from Digi-Key and Mouser. 05/01/2014: Joining the MC2R Editorial Board to start a new makers column. 05/01/2014: Branden Ghena receives Outstanding GSI Award for Fall 2013. 04/01/2014: Meghan Clark and Branden Ghena win NSF Graduate Fellowships. 03/15/2014: Co-chairing CCC/Computing Visions 2025 workshop on Making. 03/06/2014: Aaron Schulman wins ACM SIGCOMM Doctoral Dissertation Award. 01/13/2014: ACM SenSys'14 CFP posted. Submit your great ideas! 01/09/2014: Welcome to EECS 370. 01/01/2014: My NSF CAREER proposal awarded. 12/31/2013: ASME article covers M3 project. 09/01/2013: New O'Reilly Book covers HiJack. 05/29/2013: New Scientist, Humans Invent, and MIT TR articles cover M3 project. 04/30/2013: Meghan Clark wins a Microsoft Research Graduate Women's Scholarship. 04/11/2013: Brad Campbell and Pat Pannuto win $50,000 fellowship from Qualcomm. 04/03/2013: Pat Pannuto wins an NDSEG Graduate Fellowship. 03/29/2013: Pat Pannuto wins an NSF Graduate Fellowship. 03/20/2013: Co-chairing ACM SenSys in 2014. 01/17/2013: The TerraSwarm Research Center awarded $27.5M. 01/10/2013: EECS 582 course homepage is up. 11/15/2012: Our work was recognized with an Intel Early Career Award. 11/08/2012: USAID support launches Development Engineering partnership with academia. 09/10/2012: Our NSF proposal for context-aware glasses was awarded. 09/04/2012: EECS 373 course homepage is up. 03/30/2012: Maya Spivak and Sam DeBruin win NSF Graduate Fellowships. 03/06/2012: Smart Grid monitoring patent granted. 01/26/2012: Texas Instruments to support work on micro-power energy-harvesting sensors. 01/05/2012: EECS 582 course homepage is up. 11/11/2011: Lohit Yerva wins 1st place in the Energy Session at the Grad Symposium. 09/07/2011: EECS 373 course homepage is up. 08/31/2011: Our CDC proposal for tracking contacts among school aged children was awarded. 08/15/2011: Our NSF proposal to realize and disseminate "smart dust" was awarded. 06/29/2011: Seeed Studio now selling the HiJack dev kits. 06/16/2011: HiJack featured on TI University Program homepage and website. 02/24/2011: Our NSF proposal for a global mobile phone testbed was awarded. 02/24/2011: Sam DeBruin awarded a SURE fellowship to research energy metering. 01/31/2011: Sonal Verma wins a Microsoft Research Graduate Women's Scholarship. 01/28/2011: Co-chairing HotPower'11. CFP is up. Submit your good ideas. 01/24/2010: Common Sense cited in new EPA Program on next-gen air quality measurement. 01/14/2011: HiJack wins Michigan Mobile Applications Challenge, gets slashdotted. 01/10/2011: IEEE Pervasive Computing special issue on Smart Energy Systems now online. 01/06/2011: EECS 582 course homepage is up. 01/05/2011: Sonal Verma and her teammates win AMD/UM Student Design Contest. 01/01/2011: Thomas Schmid joins the University of Utah faculty. 11/03/2010: Our paper on A-MAC won the Best Paper Award at SenSys'10. 09/06/2010: EECS 373 course homepage is up. 07/02/2010: Our paper on power and data over audio won 1st-place in the ISLPED'10 Design Contest. 07/01/2010: Thomas Schmid won a Computing Innovation Fellows Award. 06/28/2010: Our paper on sensornet architecture won a Best Paper Award at HotEmNets'10. 05/10/2010: Thomas Schmid won the UCLA EE Outstanding Ph.D. Award for 2009-2010. 05/01/2010: My first NSF proposal (with Vanderbilt) was awarded. 04/13/2010: Our paper on power-proportional time-keeping won a Best Paper Award at IPSN'10. IoT/Swarm. The Internet of Things will bring a trillion new wireless, embedded Internet hosts online within a decade or two. Many of these devices will be highly constrained in their energy, connectivity, and computational capacity, raising new research questions about how to build secure applications that span the embedded, mobile/gateway, and cloud platforms. We're exploring the IoT design space, from system architecture directions for the Swarm to circuits and systems with a focus on modular design of ultralow-power components to application runtimes for the IoT to Internet and application layer gateways to IoT services like localization. Our goal is to research how we should build devices and software that survive and thrive in this not-too-distant future. M3. The goal of the Michigan Micro Mote (M3) project is to finally realize the Smart Dust vision: networks of integrated, autonomous, energy-harvesting nodes that can sense the environment and deliver their data over a wireless mesh network. The concrete goal of the project is to: (1) create sensor nodes that are cubic-mm in size, (2) draw ~10 nW, and (3) deliver data every few seconds or minutes. This requires advances in every layer of the system stack -- circuits to memory to processor to timers to radios to interconnects to packaging to software to protocols to programming models. If successful, this represents a 1,000-10,000 fold improvement over the state-of-the-art in size and power, compared with circa 2010 systems. CubeWorks is commercializing this technology. Energy and Water Metering. Federal sustainability goals mandate that 50% of U.S. commercial buildings become net-zero energy by 2050. A range of options exists to achieve this goal, but financial concerns require a data-driven, empirically-validated approach. However, critical gaps exist in the measurement technology, and indoor climate control science, needed to benchmark competing options, prioritize efficiency investments, and ensure occupant comfort. To address these challenges, we are researching a range of scalable resource metering and monitoring techniques, from plug-load metering to non-intrusive load monitoring. One recent thrust includes Monjolo (a "peel-and-stick" sensor that can be affixed to everyday objects, like a ceiling light, shower head, or range top, to infer their contributions to whole-building resource consumption). The sensors monitor the ambient conditions around a load and, using statistical methods, correlate those conditions with readings from existing electricity, gas, or water meters, providing individual estimates without intrusive metering. The key insight is that the transfer and use of energy (and other resources) usually emits energy, often in a different domain, and that this emitted energy is often enough to intermittently power simple, energy harvesting sensors whose duty cycle is proportional to the energy being transferred or used. (i) The Harmonia/Harmonium project is exploring the design space of localizing and tracking fast-moving aerial objects in indoor settings using RF time-of-arrival techniques. 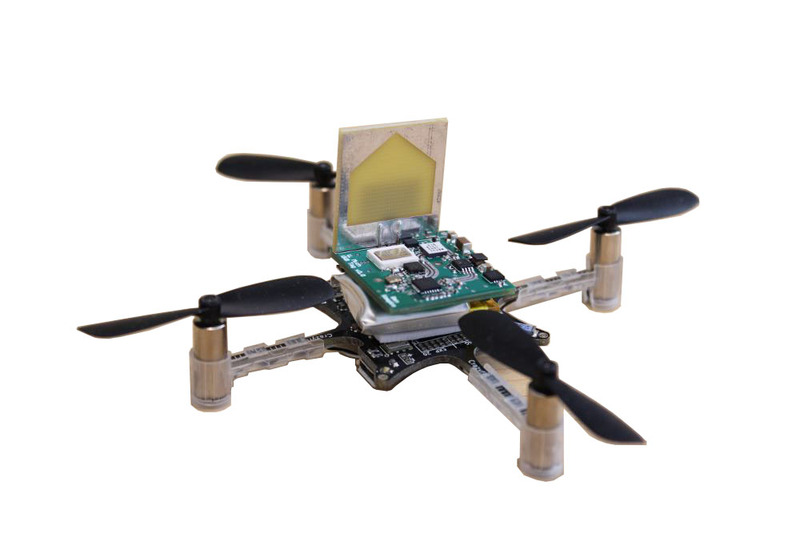 Our recent results show that it is possible to precisely track tiny airborne drones with a small (1.5 cc), lightweight (3 g), and low power (75 mW) system using a novel ultrawideband (UWB) transmitter and receiver design that support fast updates (19-56 Hz) and inexpensive tags ($4.50). Our first design mixes a square wave and sine wave to generate a wideband signal (the Fourier coefficients) and recovers them using a bandstitching receiver that uses a frequency-stepped, narrowband radio to reconstruct the wideband signal [HotWireless'14], reprinted [MC2R'14]. Harmonium, a subsequent design, works through walls and in the presence of narrowband interferers that knock out commercial UWB ranging systems [IPSN'16]. Harmonium employs novel ultrawideband pulse generators that occupy several GHz of bandwidth and provide positioning accuracy to the decimeter-level. This bandstitched receiver design allows multi-GHz resolution with the cost of narrowband FM receivers. (ii) The PolyPoint/SurePoint system is exploring the performance of 2-way RF Time-of-Flight (ToF) ranging-based localization systems that use IEEE 802.15.4-compliant UWB timing operations (based on the DecaWave DW1000 chip). 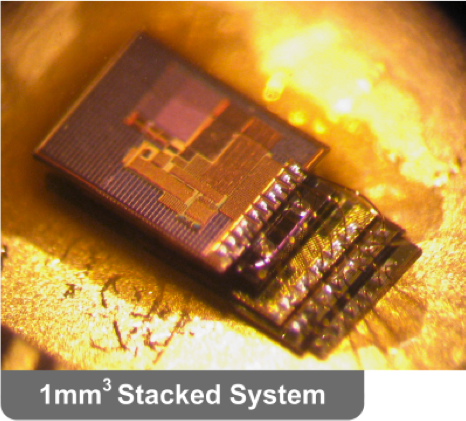 The PolyPoint node hardware augments this chip with a 3-way RF switch connected to three antennas to provide antenna diversity and reduce the effects of RF polarization. 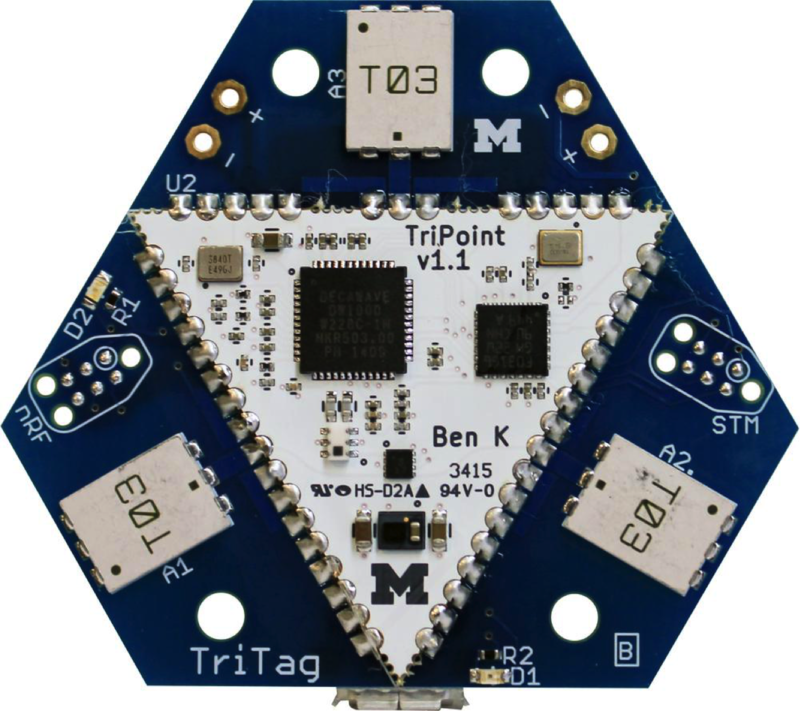 An Atum module (with ARM Cortex-M3) schedules ranging operations and calculates the range estimates, which are then offloaded for trilateration processing. The ranging operations are repeated 27 times: (3 tag antennas)×(3 anchor antennas)×(3 UWB channels) [HotWireless'15, where it won the "Potential for Test of Time 2025 Award"]. PolyPoint placed 3rd in the infrastructure-based category and 4th overall at the 2015 Microsoft Indoor Localization Competition [IPSN'15]. SurePoint extends this work to improve ranging accuracy and ranging network formation speed while also introducing UWB constructive interference [SenSys'16]. SurePoint has been used to demonstrate a new method for calibration-free, infrastructure- free localization in sensor networks [IPSN'17]. 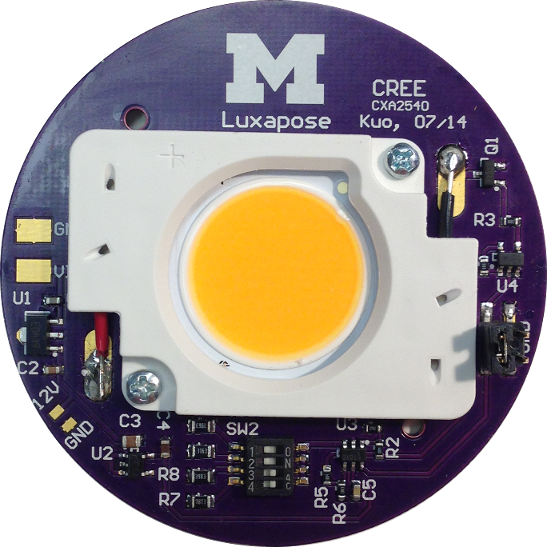 (iii) The Luxapose project is exploring the indoor positioning problem with unmodified smartphones and slightly-modified commercial LED luminaires. The luminaires, modified to allow rapid, on-off keying, transmit their identifiers and/or locations encoded in human-imperceptible optical pulses. A camera-equipped smartphone, using just a single image frame capture, can detect the presence of the luminaires in the image, decode their transmitted identifiers and/or locations, and determine the smartphone's location and orientation relative to the luminaires. The key insights underlying this work are (i) the driver circuits of emerging LED lighting systems can be easily modified to transmit data through on-off keying; (ii) the rolling shutter effect of CMOS imagers can be leveraged to receive many bits of data encoded in the optical transmissions with just a single frame capture, (iii) a camera is intrinsically an angle-of-arrival sensor, so the projection of multiple nearby light sources with known positions onto a camera's image plane can be framed as an instance of a sufficiently-constrained angle-of-arrival localization problem, and (iv) this problem can be solved with optimization techniques, yielding accurate indoor positioning: 10 cm position error and 10 degree heading error at the 90th percentile [MobiCom'14]. Luxapose is one of the applications that run on software-defined lighting [VLCS'14]. (iv) The Opo Project seeks to capture the nature of face-to-face human interactions in natural settings with high spatial and temporal fidelity. This information allows us understand real-world social dynamics and their implications on epidemiology, informal informational networks, and childhood social development. Key to enabling this work is an ultralow-power system that can detect face-to-face interactions on a sub-milliwatt power budget using a new ultrasonic wakeup radio that can be built from commodity components. With very low power draw, sensor nodes can be miniaturized to the point that they are the size of a large lapel pin, yet keep a lifetime of over a week with a Chiclet-sized battery. Data collected using recent versions of this system are recovered using Bluetooth Low Energy and a smart phone hosted gateway application [SenSys'14]. If these projects sound interesting to you, and you have been admitted to the CSE or ECE Ph.D. program at Michigan, send me an e-mail. Some of my older projects are described on my Berkeley homepage. HiJack. HiJack is a hardware/software platform for creating cubic-inch sensor peripherals for the mobile phone. HiJack devices harvest power and steal bandwidth from the mobile phone's headset interface. Several energy harvesting power supply designs are possible, with tradeoffs in efficiency, cost, and complexity. Our initial design coupled a Texas Instruments MSP430 microcontroller with an iPhone 3G/3GS/4G, iPod Touch, or iPad [DEV'10]. 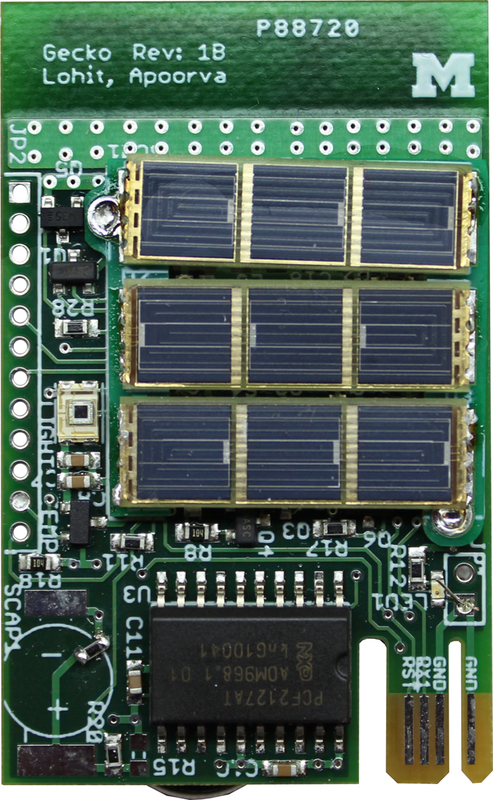 This design won the ISLPED low power design contest in 2010 [ISLPED'10] and was distributed by Seeed Studio to academic, industrial, and hobbyist users in over 50 countries and on 6 continents. EnergyMicro (now SiLabs) ported the design to their Tiny Gecko [AN0054]. NXP Semiconductor ported HiJack to their LPC800 family, continuing support for iOS and adding support for Android (Samsung Galaxy S3). 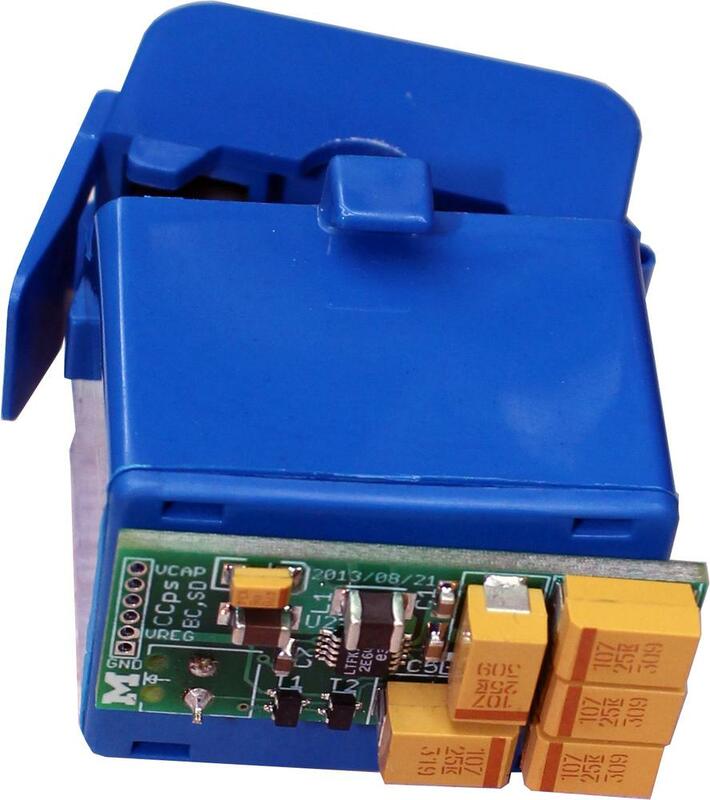 NXP markets their version as Quick-Jack [OM13069], which is available through Digi-Key, Mouser, Newark, Farnell, and others. We have also explored an alternate design point, called AudioDAQ, that uses the microphone bias voltage to supply low-power sensors like EKG, and uses the same mic line to provide a data path back into the phone, with some modulation of the analog signal to ensure it passes through the microphone's filters [SenSys'12]. The HiJack platform has enabled a new class of small and inexpensive phone-centric peripherals that support plug-and-play operation. 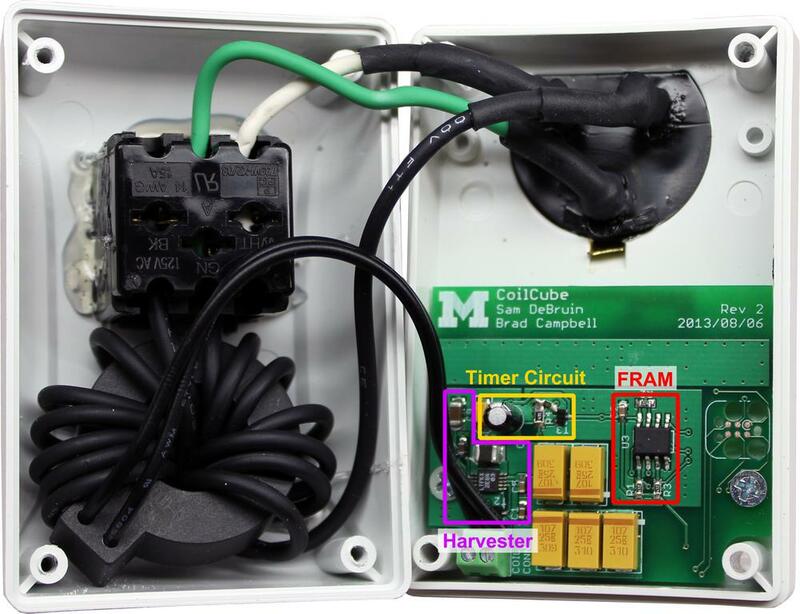 At Michigan, HiJack has served as the basis for several low-power sensor and signal conditioning front-ends including EKG (3-lead and 2-hand), temperature, gas concentration (CO, NOx, O3, and SO2), and soil moisture, as well as an energy harvesting demonstration platform [XRDS'11]. HiJack has supported incentive-driven smoking cessation research [JNTR'14]. Outside of Michigan, HiJack has influenced or been directly used to detect HIV and syphilis biomarkers, enable health and wellness, measure and map radiation fields, and support mobile payment systems. Low-Power Software Radio Architectures. "By about 2020 software radios will have become the standard technology for commercial, as well as military, radios, employed in a range of devices, from battery-powered sensors and hand-held devices to plugged-in devices (such as base stations)," claims BBN's Craig Partridge. However, one of the chief impediments to realizing this future is that today's software radios are large, expensive, and power-hungry, and so they're poorly-suited to battery-power and hand-held devices. This project explores clean-slate system architectures for software-defined radios, ranging from highly-programmble radios to RF front-ends with reconfigurable hardware baseband processing to simple RF front-ends with pure software baseband processing. Our chief aim is to make software radios small, inexpensive, and low-power. 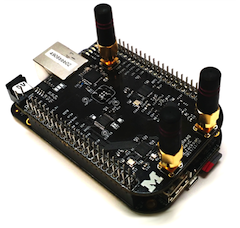 Today, we have an 802.15.4-compatible SDR platform that's just 3"x5" and costs around $100. The power figures are still not in. It will soon be an open platform for other researchers, and it will allow us to explore the range of architectural tradeoffs necessary to realize pervasive SDR systems. Talking Book. ICT has the potential for deep social impact in developing regions but today's typical devices - laptops, mobile phones, and similar systems - are often still too expensive for many scenarios. The thesis of this work is that custom ICs can enable a new tier of low-cost information access devices with a price point that will make them widely accessible. And, with control over the silicon, these systems can economically address many other challenges. To evaluate these ideas, we focus on a deceptively simple problem - low-cost information access for illiterate populations through audio recordings - and explore how custom silicon allows us to reduce cost, lower power, leverage conventional infrastructure in unconventional ways, and optimize the interface for usability. In particular, we explore how a rural audio computer can be designed around just three chips, use an inexpensive capacitive touch interface, employ inductive communications for peer-to-peer data transfer, and employ content download over GSM voice and FM broadcast as two wide area options. The resulting design point – enabled by aggressive silicon integration – affords a device that can be built for less than $10. We are working with Literacy Bridge, a Washington state non-profit, to initially bring this technology to improve child and maternal health for 25,000 people across Ghana. "Beyond Schematic Capture: Meaningful Abstractions for Better Electronics Design Tools,"
Glasgow, UK, May 4-9, 2019. To appear. "Capacity over Capacitance: Exploiting Batteries in Energy Harvesting Sensors,"
Montreal, Canada, Apr. 16-18, 2019. To appear. "Embedded OSes Must Embrace Distributed Computing,"
Montreal, Canada, Apr. 15, 2019. To appear. "Freeloaders Guide Through the Google Galaxy,"
Santa Cruz, CA, Feb. 27-28, 2019. "Browsing the Web of Things in Mobile Augmented Reality,"
"The Open INcentive Kit (OINK): Standardizing the Generation, Comparison, and Deployment of Incentive Systems,"
Ahmedabad, India, Jan. 4-7, 2019. "Reconsidering Batteries in Energy Harvesting Sensing,"
Shenzen, China, Nov. 4, 2018. "Experience: Android Resists Liberation from Its Primary Use Case,"
New Delhi, India, Oct. 29-Nov. 2, 2018. "A Modular and Adaptive Architecture for Building Applications with Connected Devices,"
Bellevue, WA, Oct. 21-23, 2018. "Signpost: Enabling City-Scale Sensing for Citizens and Scientists,"
Vol. 22, Issue 3, Sep. 2018. "Harmonium: UWB Pulse Generation with Bandstitched Recovery for Fast, Accurate, and Robust Localization,"
In Transactions on Sensor Networks (TOSN'18), Vol. 14, No. 2, Jun. 2018. Cambridge, MA, Jun. 17-18, 2018. 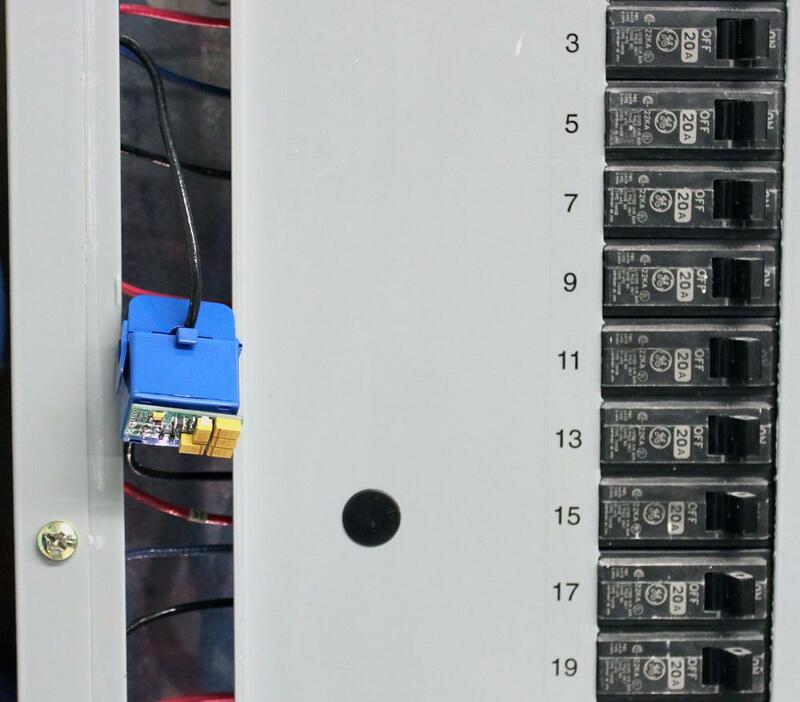 "From Energy Audits to Monitoring Megawatt Loads: A Flexible and Deployable Power Metering System,"
Orlando, Florida, USA, Apr. 17-20, 2018. "Slocalization: Sub-uW, Ultra Wideband Backscatter Localization,"
Porto, Portugal, Apr. 11-13, 2018. Best Paper Runner-Up. "The Signpost Platform for City-Scale Sensing,"
Porto, Portugal, Apr. 11-13, 2018. Best Demo Runner-Up. "Isolation Required for Multi-tenant Energy Harvesting Platforms,"
Delft, The Netherlands, Nov. 5, 2017. "New Directions: Wireless Robotic Materials,"
Delft, The Netherlands, Nov. 5-8, 2017. "Safely and Efficiently Multiprogramming a 64 kB Computer,"
"Devices and Data and Agents, Oh My: How Smart Home Abstractions Prime End-User Mental Models,"
Maui, HI, USA, Sep. 13-15, 2017. "The Case for Writing a Kernel in Rust,"
Mumbai, India, Sep. 2-3, 2017. "Turning Coders into Makers: The Promise of Embedded Design Generation,"
Cambridge, MA, Jun. 12-13, 2017. "Calibration-Free Network Localization Using Non-Line-of-Sight Ultra-Wideband Measurement,"
Pittsburg, PA, Apr. 18-21, 2017. "MBus: A Fully Synthesizable Low-power Portable Interconnect Bus for Millimeter-scale Sensor Systems,"
Journal of Semiconductor Technology and Science, Vol. 16, No. 6, pp 745-753, Dec. 2016. "Monoxalyze: Verifying Smoking Cessation with a Keychain-sized Carbon Monoxide Breathalyzer,"
Stanford, CA, Nov. 14-16, 2016. "SurePoint: Exploiting Ultra Wideband Flooding and Diversity to Provide Robust, Scalable, High-Fidelity Indoor Localization,"
"Perpetual Sensing for the Built Environment,"
IEEE Pervasive Computing, Vol. 15, No. 4, pp. 45-55, Oct-Dec 2016. "Towards a Natural Language Programming Interface for Smart Homes"
Heidelberg, Germany, Sep. 12-16, 2016. "MBus: A System Integration Bus for the Modular Micro-Scale Computing Class,"
Vol. 37, No. 3, May/Jun 2016. Top Pick. "Embedded Device Generation: Turning Software into Hardware,"
San Jose, CA. May 8, 2016. "Weaving Social Fabric with a Home-to-Home Network,"
San Jose, CA. May 7, 2016. "Embedded Development Tools Revisited: Verification and Generation from the Top Down,"
Vol. 20, Issue 2, Apr. 2016. "Harmonium: Asymmetric, Bandstitched UWB for Fast, Accurate, and Robust Indoor Localization,"
Vienna, Austria, Apr. 11-14, 2016. "Cinamin: A Perpetual and Nearly Invisible BLE Beacon,"
Graz, Austria, Feb. 15, 2016. "PowerBlade: A Low-Profile, True-Power, Plug-Through Energy Meter,"
Seoul, South Korea, Nov. 1-4, 2015. "The Haunted House: Networking Smart Homes to Enable Casual Long-Distance Social Interactions,"
Seoul, South Korea, Nov. 1, 2015. "Ownership is Theft: Experiences Building an Embedded OS in Rust,"
Monterey, CA, Oct. 4, 2015. "A Great Time for Makers,"
Vol. 19, Issue 4, Oct. 2015. "PolyPoint: Guiding Indoor Quadrotors with Ultra-Wideband Localization,"
Paris, France, Sep. 11, 2015. Potential for Test of Time 2025 Award. "Ving: Bootstrapping the Desktop Area Network with a Vibratory Ping,"
Paris, France, Sep. 11, 2015. "Emergence of the IoT Gateway Platform,"
Vol. 19, Issue 3, pgs 33-36, Jul. 2015. "MBus: An Ultra-Low Power Interconnect Bus for Next Generation Nanopower Systems,"
Portland, OR, Jun. 13-17, 2015. In The 6th Workshop on Architectural Research Prototyping (WARP'15). "Interfacing the Internet of a Trillion Things,"
Seattle, WA, Apr. 13, 2015. "The Internet of Things has a Gateway Problem,"
Santa Fe, New Mexico, Feb. 12-13, 2015. Rome, Italy, Dec. 2-5, 2014. "Energy-Harvesting Thermoelectric Sensing for Unobtrusive Water and Appliance Metering,"
Memphis, TN, Nov. 6, 2014. Memphis, TN, Nov. 5-6, 2014. Memphis, TN, Nov. 3-6, 2014. "The Age of DIY and the Dawn of the Maker Movement,"
Vol. 18, Issue 4, pgs 41-43, Oct. 2014. San Jose, CA, Sep. 14-17, 2014. Maui, HI, Sep. 11, 2014. Maui, HI, Sep. 7-11, 2014. Maui, HI, Sep. 7, 2014. "IoT Design Space Challenges: Circuits and Systems,"
Honolulu, HI, Jun. 11-13, 2014. Invited Paper. "A Millimeter-Scale Wireless Imaging System with Continuous Motion Detection and Energy Harvesting,"
Honolulu, HI, Jun. 11-13, 2014. "The Swarm at the Edge of the Cloud,"
"Grid Watch: Mapping Blackouts with Smart Phones,"
Santa Barbara, California, Feb. 26-27, 2014. "Unobtrusively Capturing Face to Face Interactions,"
Montreal, Quebec, Canada, Sep. 29, 2013. "GATD: A Robust, Extensible, and Versatile Swarm Dataplane,"
"Networking the Cloud: Extending IPv6 to City-Wide Sensor Networks,"
"A Low-cost Audio Computer for Information Dissemination among Illiterate People Groups,"
Vol. 60, No. 8, pgs 2039-2050, Aug. 2013. Invited Paper. "A Modular 1mm^3 Die-Stacked Sensing Platform with Low Power I2C Inter-die Communication and Multi-Modal Energy Harvesting,"
In IEEE Journal of Solid-State Circuits (JSSC'14), Vol. 48, No. 1, Jan. 2013. "AutoWitness: Locating and Tracking Stolen Property While Tolerating GPS and Radio Outages,"
In International Solid-State Circuits Conference (ISSCC’12), Feb. 19-23, 2012. "Low Power or High Performance? A Tradeoff Whose Time has Come (and Nearly Gone),"
In Proceedings of the 9th European Conference of Wireless Sensor Networks (EWSN'12), Feb 15-17, 2012. "Operating Systems and Network Protocols for Wireless Sensor Networks,"
In Philosophical Transactions of the Royal Society A, Vol. 370, No. 1958, Jan 13, 2012. "Sustainable Sensing for a Smarter Planet,"
In XRDS: Crossroads: The ACM Magazine for Students, Summer 2011, Vol. 17, No. 4, pgs 14-20, 2011. "An Information-Centric Energy Infrastructure: The Berkeley View,"
In Sustainable Computing: Informatics and Systems (SUSCOMP'11), Vol. 1, Issue 1, pgs 7-22, 2011. "Guest Editors' Introduction: Smart Energy Systems,"
IEEE Pervasive Computing, Vol. 10, No. 1, Jan-Mar, 2011. "AutoTrack: Locating and Tracking Stolen Property While Tolerating GPS and Radio Outages,"
Zurich, Switzerland, Nov. 3-5, 2010. Best Paper Nominee. "Towards Cooperative Grids: Sensor/Actuator Networks for Promoting Renewables,"
Gaithersburg, Maryland, Oct. 4-6, 2010. 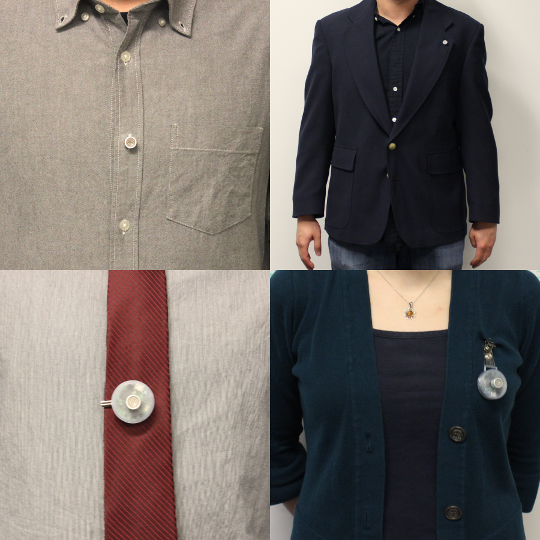 "Human-Enabled Microscopic Environmental Mobile Sensing and Feedback,"
Stanford, CA, Mar. 22-24, 2010. "An Empirical Study of Low Power Wireless,"
In ACM Transactions on Sensor Networks (TOSN'10), Vol. 6, Issue 2, No. 16, pgs 1-49, 2010.